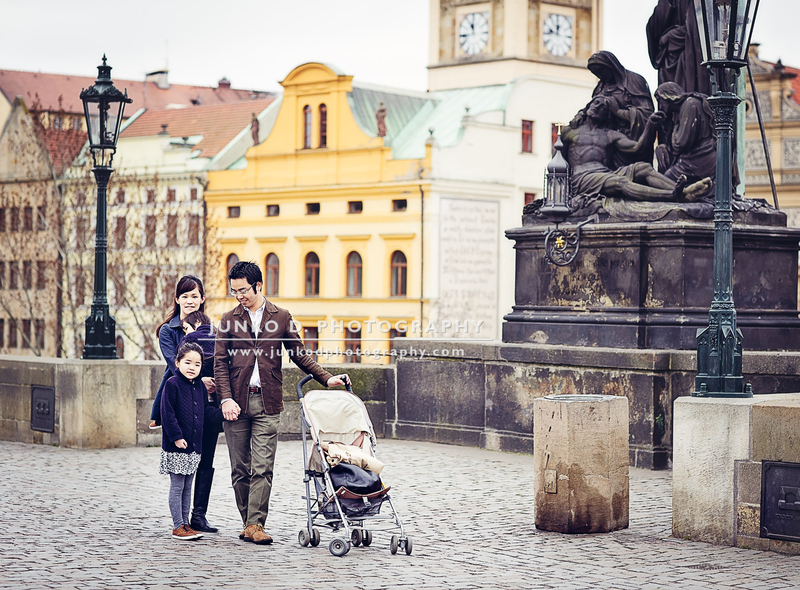 The S. wanted to keep memories of their stay in Prague before leaving the country and to choose Charles Bridge and Mala Strana as the picturesque backdrop of their family photo session came as a natural choice. 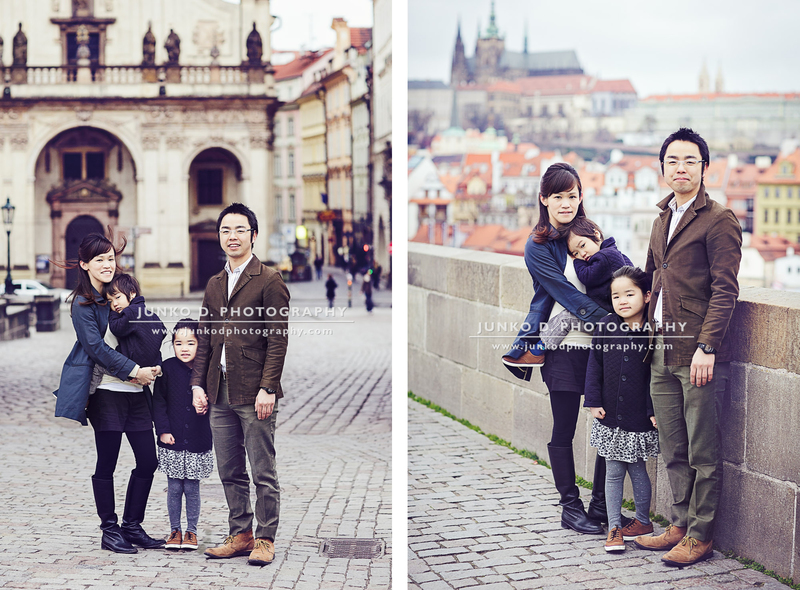 However, such beautiful backdrop comes with a price : Prague is victim of its own success and hordes of tourists are roaming its streets from the morning all year long. So if you want your beautiful backdrop not to be ruined by flashy branded tops, neon sneakers and backpacks erupting from everywhere, you need to wake up early, even in March. So we did but kind and gentle N. optimistically overestimated the temperatures in Prague where one must wait for April to feel that spring has really started. 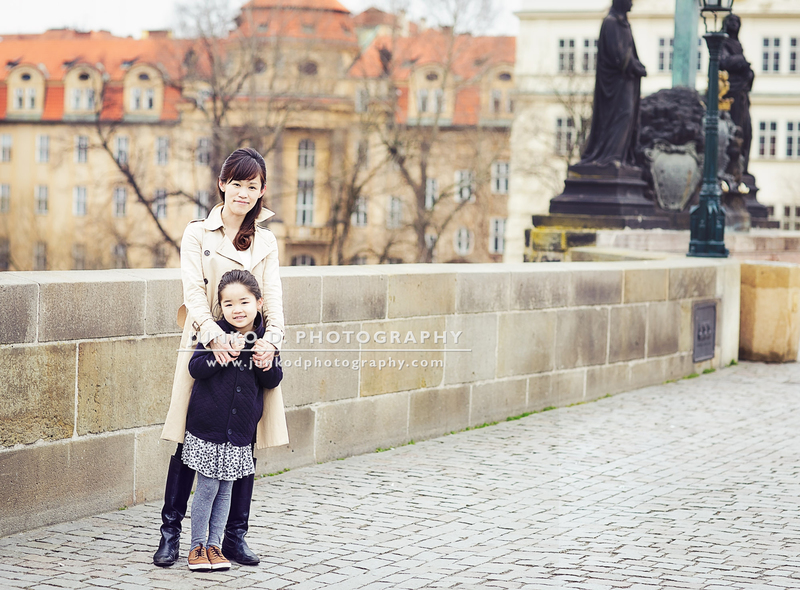 After about twenty minutes on Charles Bridge, I took pity on the two beautifully dressed but shivering children who in a very typical Japanese way were trying their best to stoically endure their discomfort. 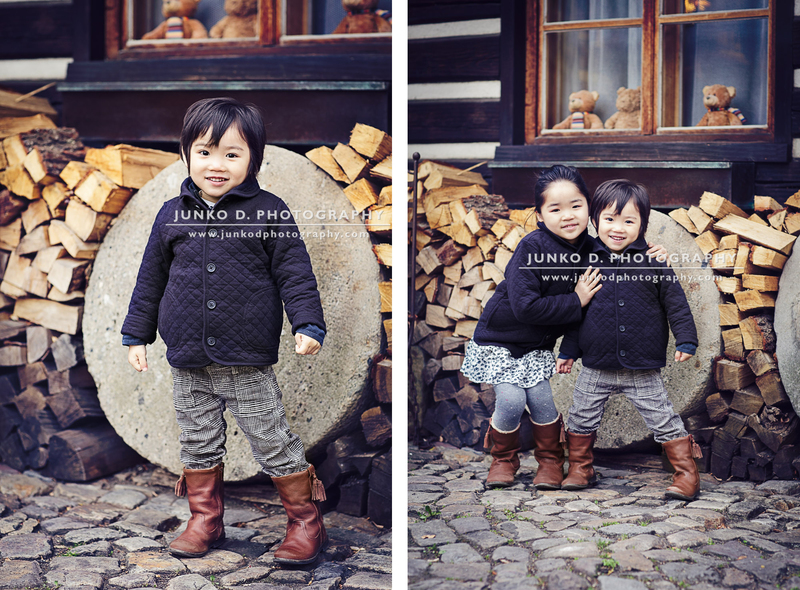 We stopped the session and made a trip to their home to pile up warm layers on them before resuming the session. It is said that God, or Evil — it depends if you are more Nietzsche or Mies van der Rohe — is in the details and preparing the proper clothes for a photo session might be one of the most important details to make of the latter a great success. 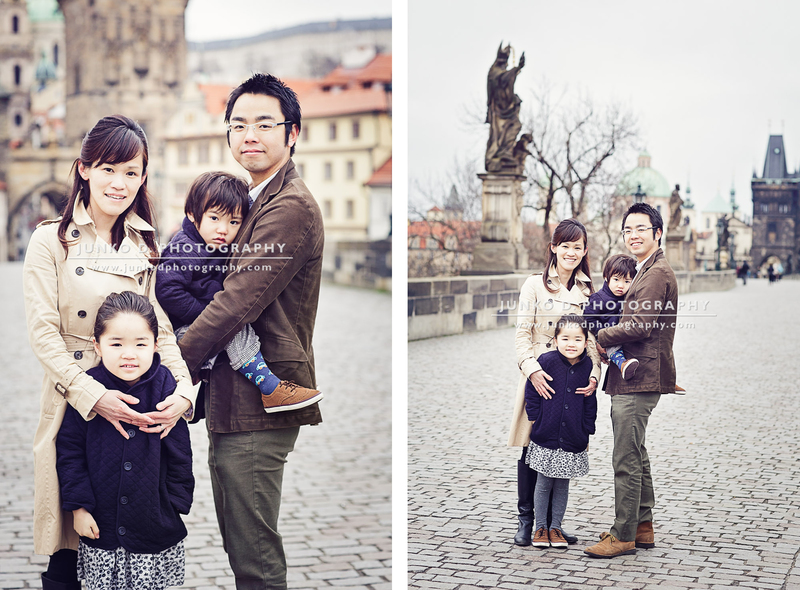 half-Japanese photographer living in beautiful Prague, Czech Republic, and I specialize in babies, children and family clean and modern portraits. These pages talk of my work and my photographic discoveries. I hope you will like what you find here and visit often. 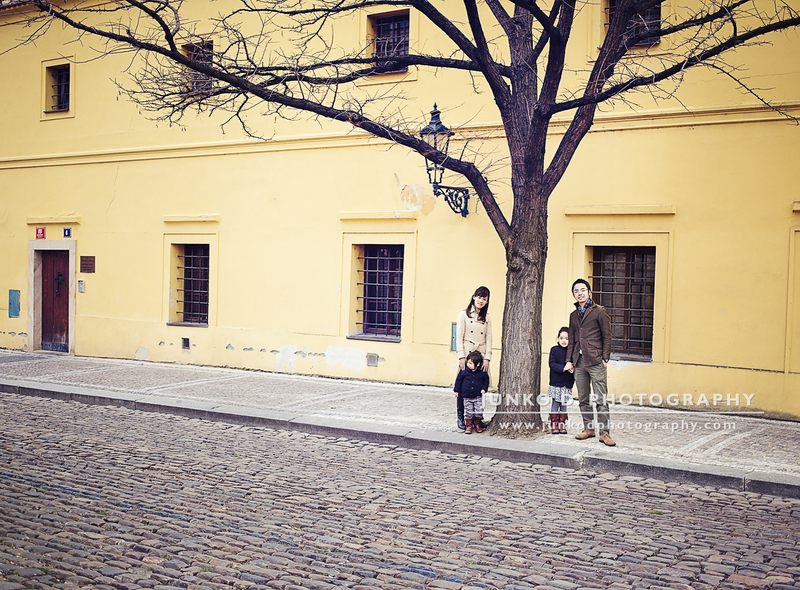 And maybe, I'll have the pleasure to create great memories for your family! 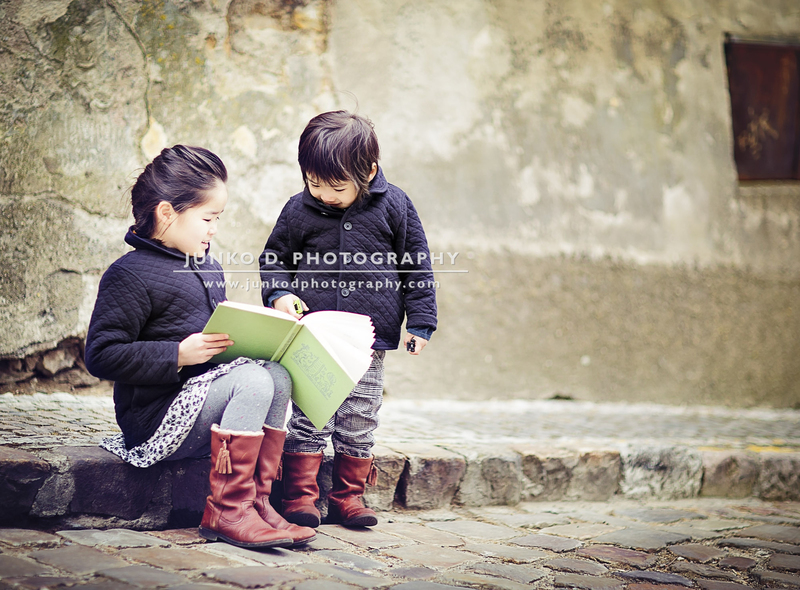 This site is showcasing the work of Aline Derer, a natural light photographer located in Prague, CZ, who specializes in baby and children custom photography. Why not work together today? 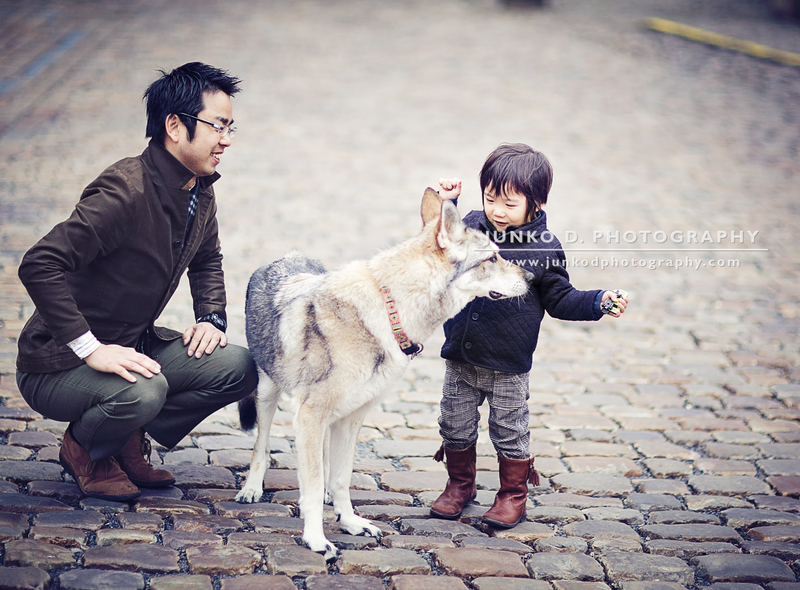 All content © 2013 by Junko d.